Animateducated: Study Buster Keaton films! Each year at this time, this commercial plays and I am reminded of my time as an animator at Will Vinton studios. Unfortunately, as animators we do not get any residuals when our animation plays in a commercial, but I'm glad I can proudly say, I animated the Yellow M&M. M&M's Santa "They do exist!" from Daniel L Smith on Vimeo. I tell beginning animation students to study silent films to see how to tell a story without dialogue. Buster Keaton is a great filmmaker/actor to study and all his gags are unbelievable to watch. Here's a very good film series called "Every Frame a Painting" which explores the visual comedy of Buster Keaton. From: Buster Keaton with Charles Samuels. My Wonderful World of Slapstick (Kindle Locations 188-192). New York : Doubleday. Pop and Harry Houdini, who was also just making his start in show business, became partners in their own medicine show. Pop did his dances and flip-flaps, Mom played her saxophone solos, and Houdini did a few card tricks and astonished the customers by getting out of the local sheriff's handcuffs with the greatest of ease. In her memoirs, Mrs. Houdini years later told how indignant Pop became when the magician laughed uproariously at his antics, spoiling the joke, while they were on the stage together. When I was six months old, I fell downstairs and burst into tears. Houdini, who was nearby, picked me up, and said, "My, what a Busterr." Pop there and then decided I should be called that and as far as I have been able to learn, I was the first man given that nickname. 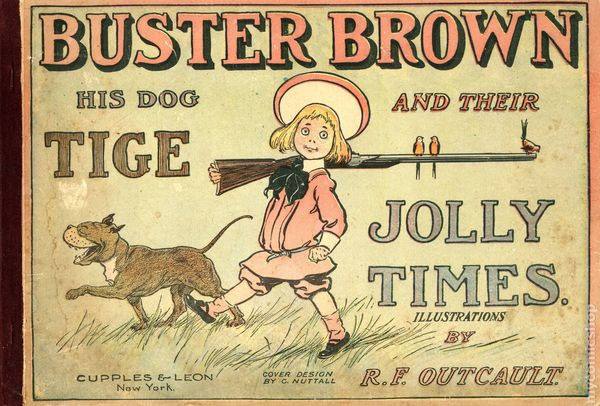 Even Buster Brown, the character in R. F. Outcault's comic strip, was born a few years after I came into the world. 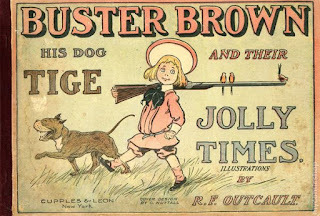 Everybody, including each of my three wives, always called me Buster. There are some amazing and funny scenes in the clip below from "The Goat" to learn how to set up and pull off a gag. At the table, notice how Buster is slowly moving downward during this scene. This helps establishes that he is the victim and also shows how big the other guy is. GoatClip from Toondini on Vimeo. The big guy now braces himself on the table, which allows Buster to make his brilliant and unexpected escape! When the big guy finally gets out the door, we are fooled again as Buster ducks down in the phone booth, the big guy and (we the audience) mistake this as another elevator before the big guy goes running downstairs. This is followed by a classic cartoon moment when Buster turns the real elevator's arrow to bring the elevator up to his floor. Watch "The Goat" and other Buster Keaton classics on Youtube or download it and other classic silent films here. I had the rare opportunity to interview animation director Sergio Pablos. Here is a project he is currently working on right now! 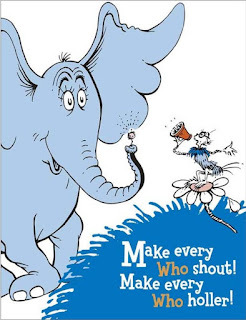 Sometimes I feel like Horton, send me a comment below, a hello, a shout out or a "how do you do? 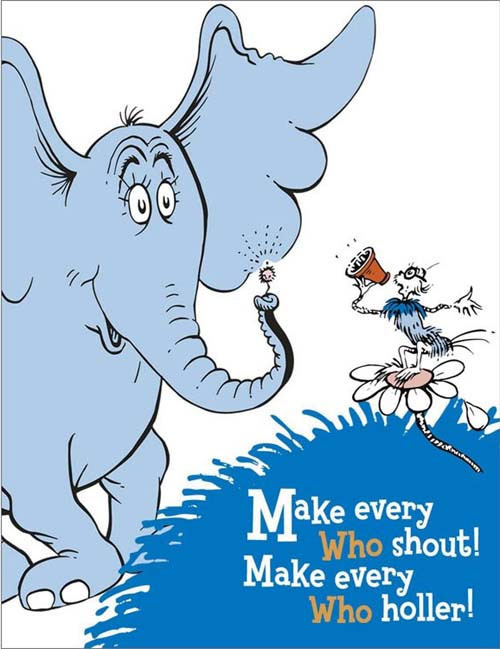 ", but don't be as quiet as a who.